Rachel Homan won her second Canadian women’s curling championship on Sunday night, defeating Val Sweeting of Alberta 8-6 in the final of the 2014 Scotties Tournament of Hearts at Maurice-Richard Arena in Montréal. 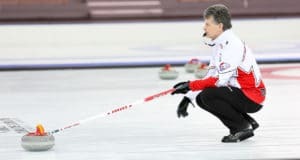 It was the second Scotties title for Homan and her team of Emma Miskew, Alison Kreviazuk, Lisa Weagle, alternate Stephanie LeDrew and coach Earle Morris, who play out of the Ottawa Curling Club. Homan also won the Canadian junior title in 2010. 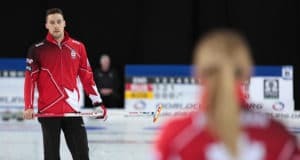 Homan reached the final after going undefeated in the round robin, and scoring a 6-4 win over Manitoba’s Chelsey Carey in the Page 1 vs 2 playoff game on Friday night. With the win, Homan and her team will move on to represent Canada at the 2014 Ford World Women’s Curling Championship, presented by Booster Juice, March 15-23 in Saint John, N.B. At the 2013 world championship in Riga, Latvia, Homan won a bronze medal. 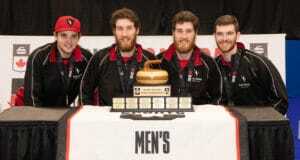 The winner of the 2014 Scotties Tournament of Hearts will represent Canada at the Ford World Women’s Curling Championship, presented by Booster Juice, March 15 to 23 in Saint John, N.B. The 2014 Scotties marks the 33rd year of Kruger Products Limited’s sponsorship of the Canadian women’s championship.